First of all, let me say, that I have no problem with candy. Candy and I get along very, very well. I love it, and it promises not to tell my husband how much I ate. So, this Printable Memory Game is in no way a break up with candy. That said, sometimes I cringe about giving my kid a literal basket full of sweets. 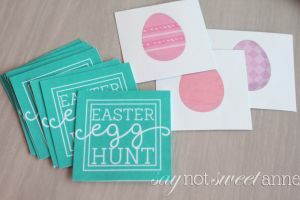 Not only are there tooth implications, but this mama doesn’t want a sugared up baby dancing and screeching through Easter service. 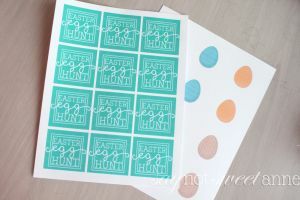 So, I made a cute paper printable that turns into an easy Easter Basket stuffer! 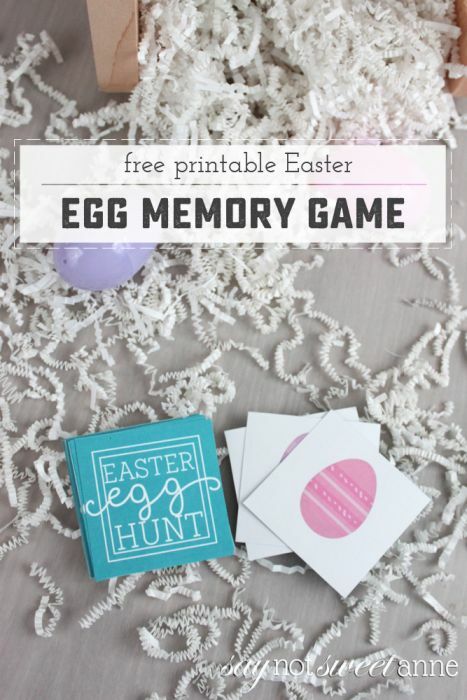 This Printable Memory Game features a colorful back and adorable colored eggs to match! Memory is a simple game that is great for kids, and can easily be scaled up or down in difficulty depending on how many pairs you play with. 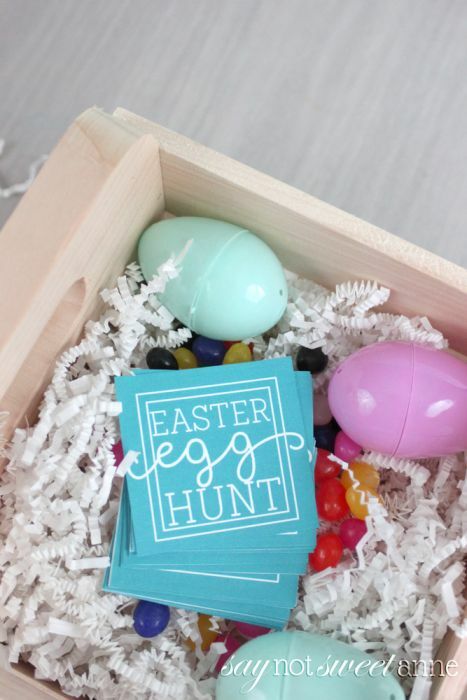 I love the feel of a deck of homemade cards, especially nestled in an adorable basket along side – you guessed it – candy. Just grab the printable, some paper and scissors! Print out the first two pages of the download, and then print out the second two on the opposite side. Cut out along the colored area on the card backs. Done! 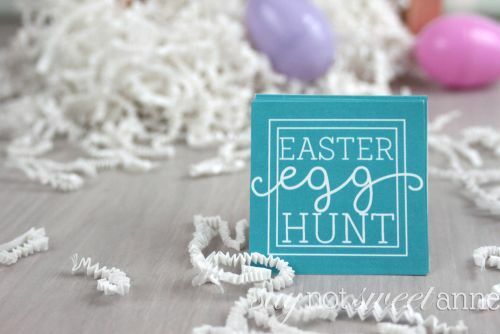 Wrap them up in a cute bow, or tuck them in a large Easter Egg!